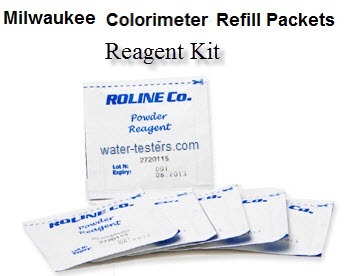 Need a Reagent Kit for your Mi407 Photometer? We have it right here. This order includes 100 Low Ammonia tests. Milwaukee offers 2 instruments for low and medium concentrations: Mi405 with a range of 0.00 to 9.99 mg/L and Mi407from 0.00 to 3.00 mg/L.